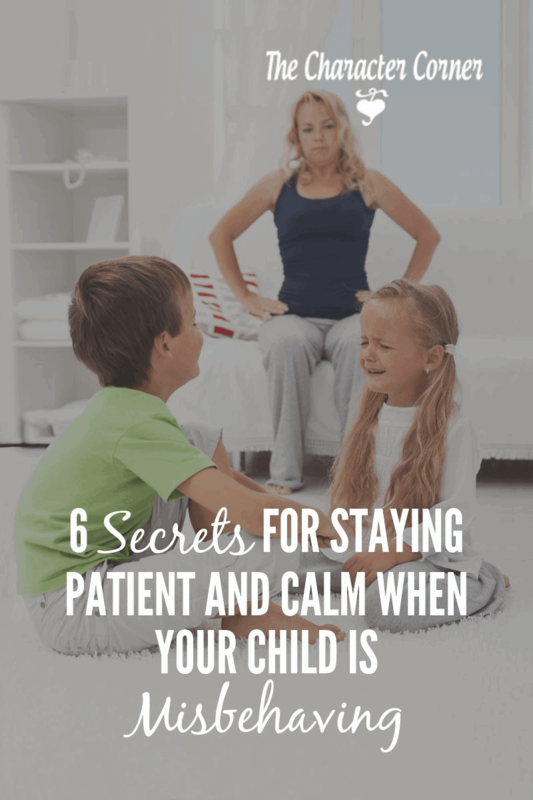 Staying patient and calm when your children are misbehaving is hard! 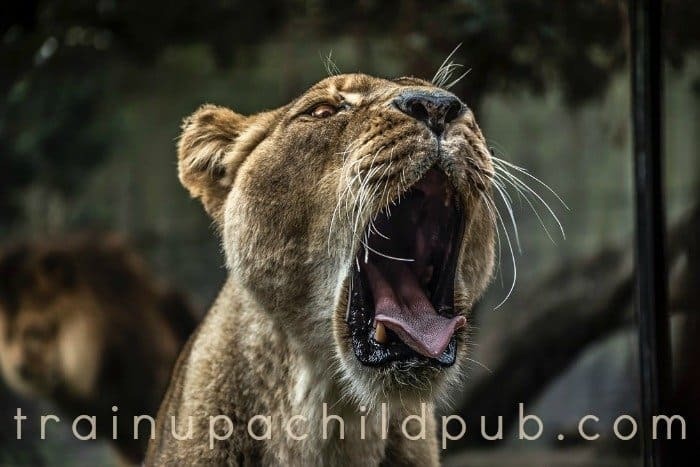 There is nothing more irritating than listening to one of your kids taunting /teasing/ or picking on a sibling… or doing something that you expressly told him not to do… or giving an instruction that is totally ignored as soon as your ‘rebellious one’ is out of earshot. Or maybe it’s the rolled eyes, whiny voice, or messy room that puts you over the edge. 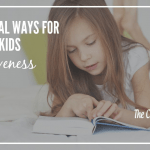 To keep from losing it, I’m going to let you in on six secrets for staying patient and calm that have served me well over the homeschooling and mothering years. I hope they’ll help you, too. Keep in mind with all of these things that as parents, it’s VITAL that we train ourselves to focus on the big picture. Even though we are mired in the little things, the day-to-day, we have to remember that we are discipling our children every day, raising them to be godly generations that honor the Lord. We are their models. But you know what? We are sinners, just like them. But if we are daughters of the King, we have been forgiven. No matter how many times we mess up, how much we struggle with impatience, organization, balancing our roles and work load – we are enough in God’s eyes, just as we are. We can’t perform any better to make God love us any more than He already does. 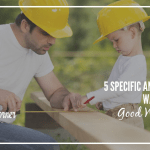 Keeping that in mind will automatically help you have the right frame of mind when dealing with your children, and learning to extend to them that same grace. Preach the gospel to yourself regularly, as well as to your kids. 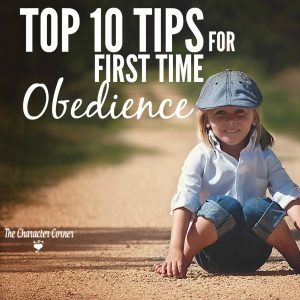 Don’t wait until you are about to explode before you do something about a misbehaving child. It took me the LONGEST time to figure out that when I was angry, it was generally because I was no longer in control. (I’m talking about with younger children here.) I’m angry because my child had taken the reigns and for that moment in time he or she was calling the shots. (Uh…no.) Not the way it is designed to be. Even though you are busy teaching a math lesson or trying to get a meal on the table, learn to stop and deal with a little problem while you are still calm and in control of your emotions, before it becomes a bigger problem. If you do everything you can to stay calm (pray, take ten slow, deep, extend-your-belly-breaths), walk outside for a moment, whatever it takes to help you speak calmly and quietly rather than ranting and raving, you will de-escalate the situation instead of ramping it up. When you react peacefully and calmly, your children feel more secure and can calm down more easily as well. Remove your child from danger or REDirect your toddler from doing something harmful. Distract your toddler from those electrical outlets, for example, and after a firm “no” (perhaps with a toddler-gentle-appropriate slap on the hand, if this is a repeat offense). Then redirect her attention elsewhere. Staying calm, using your inside voice, take a few minutes and talk with the offender to find out what’s going on with your misbehaving one. Sometimes kids don’t even mean to be misbehaving. By calmly asking them a few questions about how they are feeling you might be surprised at how simply a problem is solved and things can return to a more peaceful state. 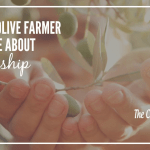 When I had an infant and a 3.5 year old I remember my oldest sometimes… getting into things. When I finally figured out that she needed a little attention and taught her to tell me that when she was feeling that way, it made all the difference! Being able to dialogue about it helped me to respond, even if it was just with a quick hug, and helped her to understand that I still loved her even though sometimes she had to wait just a bit before I could spend more time with her. Maybe a sullen child in the afternoon is reacting to a harsh comment from the morning that needs to be addressed and apologized for. But you might never know this unless you ask. And by the way, you will be doing a lot of apologizing during your homeschool years, and this is a good thing. 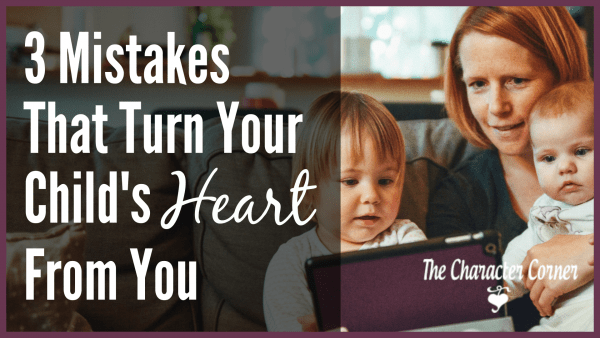 Humbling yourself and being honest about your own mistakes is about the best modeling your child can receive! The best time to extend grace to your children is when they don’t deserve it. Let everyone simmer down, and then talk to her about it. You are still dealing with the situation. You are just waiting until everyone’s emotions aren’t on red alert. Waiting often solves that problem. Sometimes, waiting instead of reacting results in an even better outcome: a tender-hearted child may end upcoming to YOU and apologizing for the infraction without you needing to say a thing. Let her conscience work on her first. Being a mom, especially a homeschooling mom, is not an easy task. 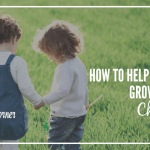 But taking the long view and keeping in mind that these years really go by pretty quickly will help you commit to learning to be a calm, patient mom. You can do it! Not perfectly, but as you practice these skills, you will get better. 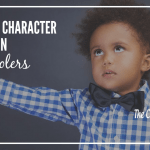 This is a guest post written by Dana Wilson of Train up a Child Publishing. Mom of young adults, Dana learned a lot, mostly about herself, by homeschooling from Kindergarten through High School. 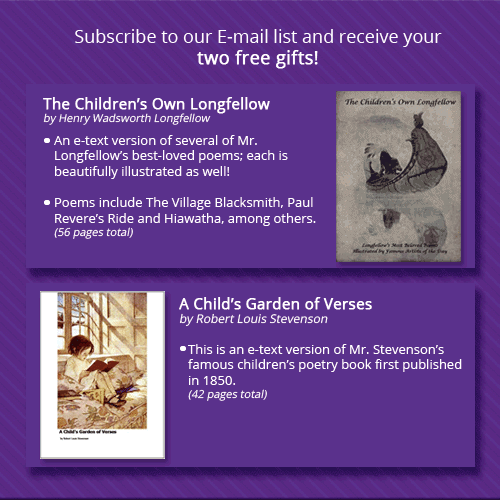 Now she offers literature-based, Charlotte Mason-inspired homeschool curriculum as well as a helpful hand to homeschooling mommas through the Train up a Child Publishing blog. Drop in and say hello there or on her Facebook page. 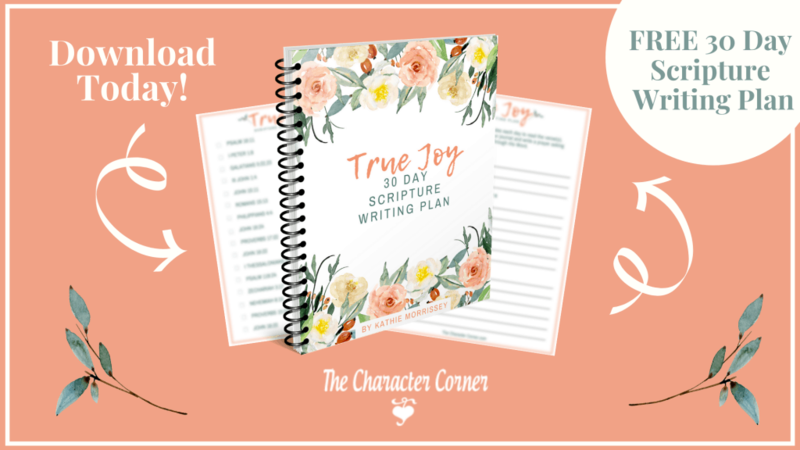 Want to read more from Dana Wilson and Train up a Child Publishing? Thank you so much for this post! It has taken (and will continue to take) a lot of practice in this but once I was better at discerning secret 4 and 5 we took a huge leap ahead! This was a wonderful reminder. It was so helpful to have it all laid out so I could process it again! So much in each of those tips. To me #1 is the winner: Don’t wait until you are about to explode before you do something about a misbehaving child. We can avoid so much by being proactive – proactive with our own emotions, proactive with our instruction, proactive with what we let happen before we step in to redirect. You’re welcome, Belinda! I agree. Being proactive makes everything run so much more smoothly. It was one of those “slap your forehead” moments when I realized how much worse things became when I procrastinated until “the time was better” to deal with an unruly child. Glad you enjoyed the post! I’m a new mom, so this will definitely come in handy. Thank you for sharing your mom wisdom!! Thank you for reading, Jess. Congrats on becoming a new mom! Such an exhausting but exciting time of life you are in! Enjoy all of it, as time goes quickly. God bless!